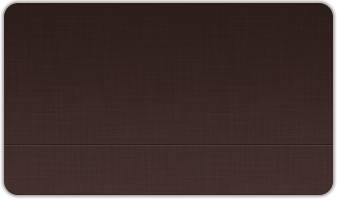 Frisco, TX - February 2, 2012 - The rating is based on NBCF’s ability to responsibly manage its finances and operations. In addition to a perfect score for its accountability and transparency, NBCF received the highest point total of any breast cancer charity rated by Charity Navigator. “This ‘exceptional’ designation from Charity Navigator differentiates National Breast Cancer Foundation, Inc. from its peers and demonstrates to the public it is worthy of their trust,” says Ken Berger, President & CEO of Charity Navigator. Through its National Mammography Program, NBCF addresses the growing concern of over 50 million uninsured people in America by providing free mammograms and diagnostic services in all 50 states. “We partner with some of the best hospitals in the country and make sure these facilities have the capacity to continue treatment after an abnormal finding or diagnosis of breast cancer,” says NBCF Founder & CEO, Janelle Hail. NBCF has joined hands with partners to bridge the gap between women and medical facilities nationwide to provide diagnostic care. NBCF has become a stabilizing force in the lives of hundreds of thousands of women who have reached a crossroad in their lives and need a helping hand to get across the bridge. “We are proud to be Charity Navigator’s highest-rated breast cancer charity as we celebrate our 20th anniversary this year,” says Hail. Recognized as one of the leading breast cancer organizations in the world, the National Breast Cancer Foundation’s (NBCF) mission is to save lives through early detection and to provide mammograms for those in need. NBCF provides women help for today and hope for tomorrow through its National Mammography Program, Beyond The Shock®, Early Detection Plan, MyNBCF online support community, and breast cancer research programs. For more information visit www.nbcf.org. 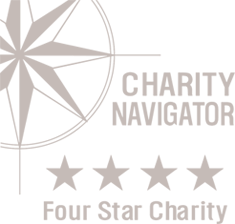 Charity Navigator is the largest charity evaluator in America and its website attracts more visitors than all other charity rating groups combined. The organization helps guide intelligent giving by evaluating the Financial Health and Accountability & Transparency of nearly 5,500 charities. Charity Navigator accepts no advertising or donations from the organizations it evaluates, ensuring unbiased evaluations, nor does it charge the public for this trusted data. As a result, Charity Navigator, a non-profit 501 (c) (3) organization itself, depends on support from individuals, corporations and foundations that believe it provides a much-needed service to America's charitable givers. Charity Navigator, can be reached directly by telephone at (201) 818-1288, or by mail at 139 Harristown Road, Suite 201, Glen Rock, N.J., 07452. For more information, visit www.charitynavigator.org.